I have gardening chickens too. Eight of them. I usually have to plant one row of lettuce for people and one row for chickens, but usually both get eaten before the lettuce bolts. Other than eating lettuce, they keep the garden “hoed” pretty well, I have never had any potato or tomato bugs, cabbage or broccoli worms, or really any pests in the garden save large rabbits. The chickens keep the squirrels, chipmunks, and small rabbits chased off too. I disagree with Cynthia. Chickens are great for gardenting!…BUT you must choose WHEN to let them garden. I allow mine to access the garden AFTER the harvest. At that time, they do all the clean up. They even take care of weed seeds that I would other wise have to pull as weed plants next year. With all that soil being scratched and all the organic material being eaten, I have a great starting point for my garden in the spring. I admit, they are banned from the garden once planting starts but I do share the excess produce from the garden. After all, they help with the work so they deserve to share the proceeds. So I think it is unfair to totally say that any animal is not good for a certain work project. I have goats to keep brush down on our farm but have to protect our garden and fruit trees from them also. It is just, that the value of their share of the work is well worth the protection you need to provide for certain things at certain times. And all that manure! What a bonus for my garden. We throw it in the garden and the girls spread the composted manure mix around the garden for us, clear up the weed seeds and eat any insects that they see. We allow them to stay in the garden during the first few culitivations of the ground. They pick out the buried seeds and bugs that the tiller brings up, making an even cleaner starter plot. I don’t know if ‘guinea’ is a dirty word here… but I find the guineas much MUCH easier on the garden than the chickens. They don’t dig, they don’t peck at the tomatoes, they really don’t bother anything because they don’t stand still long enough to wreak havoc. They also are the best watch dogs. We live in the woods with lots of predators. When the guineas sound the alarm the chickens either run up to the house our into the coop. Love my hens but they can be destructive. Hey there I am so excited. I am getting my first chicks next month!! I plan on having a chicken moat. My boyfriend and I have done a lot of reading and at the point of debating coop design. I am on face book if you search for Charlotte Kymer. I love to talk chicken!! 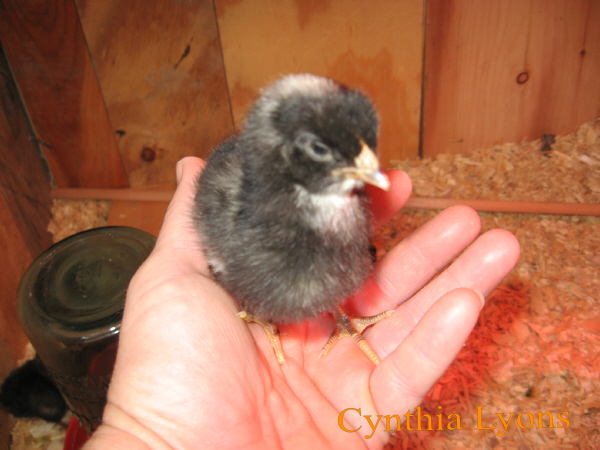 Hopefully I will be posting chick pics on FB as well. I am not discouraged by the stories of people having problems with chickens in thier garden. I intend to till in the fertilizer they make, let them clean bugs and weed seeds out of my garden at the end of the season, and I will use birdnetting to keep them in where they should be and out of where they should not be. Thank you so much for talking chicken!! I love it. People like Martha Stewart and others who push the idea of chickens in the garden are idiots. Not only do they tear up the garden, but they quickly learn which fruits and veggies to attack. I only allow my ducks to roam the garden. Ducks (muscovies, mallards, pekins, runners, etc.) do not scratch or dig, they seldom feed on the leaves, fruits, or vegetables, but voraciously hunt insects, slugs, and grubs. And ducks lay eggs and fertilize the soil as well. I haven’t allowed a chicken in my garden for more than 40 years and never will; any that are allowed free range have clipped wings and my garden is fenced. Only started this winter… but the dozen Buff Orphingtons have turned a foot deep layer of leaves into nothing on most of the 40′ x 60′ garden. I’m doing it a la Chicken Tunnel Man. I had old rusty holey 2″ x 4″ welded wire fencing 4′ high that I rolled into a 2′ wide tunnel with the help of wire to enforce the 2′ diameter @ both ends & middle. I added 1/2″ pvc pipe threaded along the bottom, cutting the fencing @10′. That helped keep the birds in and the critters out on uneven ground. Cheap carabiners hold sections together. Birds are in tractor rolling along bottom of garden. Garden rows are 3-4′ apart. I can easily move a few feet to have my ladies do my weeding & bug eating. If I let my birds free range the only thing I’d be free of is birds between foxes & coyotes. Also my son would murder them for ruining his yard. It is gorgeous. Garden going to be also with leaves, wood ash, compost, chicken, rabbit & goat manure! Yep…my chickens are great at returning the fall garden back into a good plot for planting and turning the compost….but spring planting and flowers are goners!! They do tend to leave my irises and lilies alone….but I buy large 14’x 14′ bird nets for under 10 bucks each then cut them into 2 or 3 foot strips and use them to section off my flower beds and garden blocks by treading them around strong sticks or pvc piping shoved in the ground tied with zip ties or even clothes pins…they are easy to move so I can in…the zip tied on the pvc is easy to just slide the netting down to work on that garden spot, then just slide the netting back up to keep the chickens out!! Chickens are great for my garden. 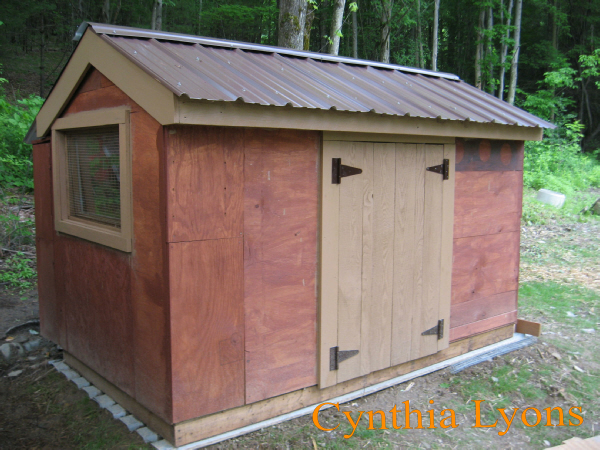 They have a coop with a large run but still seem “cooped up” during the winter months. 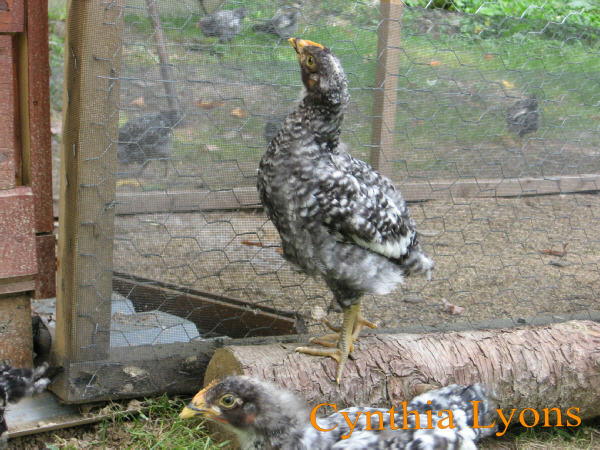 I let them out of their pen every day as soon as the growing season ends & through the winter months. ( here in the Sierra Nevada I get a fair amount of snow) They do a great job of turning the soil, moving old plant matter, ridding of unwanted pests and as you can guess, a pretty good job of fertilizing as they go. They also have the run of my compost piles, doing about the same task there as in my garden. They return to their run during the summer months, but I frequently toss them the weeds I pull and other garden clippings during the growing season. Yes chickens are good for you garden, if controlled properly. I too struggle with the free range problem. Mulch all over the walk and having to sweep it back under the shrubs. Gardening is another matte. I have raised beds and a picket fence around the garden. Between the rows, I mow. The chickens are wonderful this time of year as they forage in the beds, compost and around the garden, however I try desperately to keep them out during the early growing season due to their scratching the seed up as well as the plants. I think I am going to build a tractor for them so I can put them where I want them to do the tilling for me WHEN I want them to. I mostly love them free range but do find this and their going to the road a bit of a stress. My girls have found the dry dirt under the Blue Spruce to be their favorite Dust Bowl. There are little divots all around under this tree. 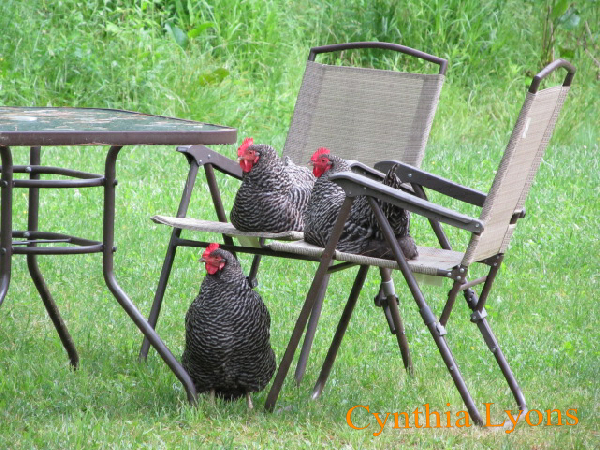 I got 2 backyard chickens for a summer on advice from a nursury owner that they “keep a garden bug free”. Unfortunately, my gardening problem was slugs which come out approximately 3 minutes after the chickens go to sleep. Instead, they ate every blossom in my garden. Then they moved on to the leaves, stems and roots of the plants and grass. 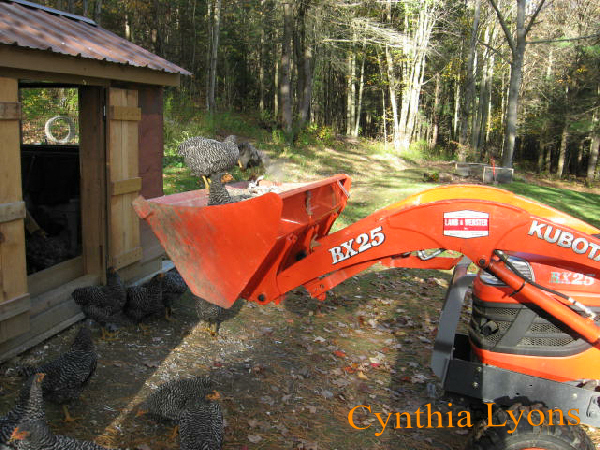 When I passed them on to a man who had a flock in early fall, I had to refill the 300 square foot fenced area they stayed in most of the time (with our rabbit)with six large bags of topsoil. We bought a few of those orange plastic fences used for parades, construction, etc. and surrounded our garden. Before that, the chickens ate more of my heirloom tomatoes than we did. We bought the fences after seeing the chickens all run to the tomato patch as soon as they were released from the chicken yard. When the greens garden had done it’s thing we took the fencing down and let the chickens eat what was left. They loved the leftover greens and the bugs taking over the greens. I agree, chickens are NOT good for gardening. I also read that they were good for a garden, but experience showed otherwise. Maybe if you need an area dug up or tilled, they might do that. But they can wreak havoc on a garden: eating seeds, digging up newly planted vegetables, stomping and smashing plants, etc. Better to keep them out of the garden, which can be a challenge in itself. My chickens would tear my garden apart if left there all day. They are great for short periods of time. But when the tomatoes are ripe (and even before) they like to eat them right off the vine. I have moved my garden in order to have a larger one, and last year my turkeys loved when I pulled weeds around the new onions. They ate the tops right off the young seedlings. I had no onions from my garden. It was pretty awful. This year, a temporary fence is going up to keep those big birds out. I agree with Elaine at sunny simple life. Directing the birds where they are welcome and close, tight fencing for individual patch protection is a great idea. I notice she farms the way I do. All kinds of mixed plants growing all over the place instead of neatly trimmed borders and rows. That approach is more like how Mother Nature does things to keep a balance that sustains with little input. All the components for a garden working in cooperation with each other. Having perfect rows of a single crop tends to invite any animal including chickens to what looks like a meal table that you set up just for them. It is different from a natural setting and catches their attention to explore this wonderful new feed system. If you prefer to keep neat orderly conventional rows you might try a method that costs a little more but I have seen work before. Create a double fence run around your garden plot. keep it tall and skinny so the chickens would have to do some acrobatic flying to go over the sides. You can use culvert pipes buried under the people entrances with fence blocking the ends to let the birds roam the entire perimeter. The benefits are that no bug stands a chance getting past the stalag perimeter patrolled by hungry birds and you can toss leaf scraps over the fence. Depending on your space available the entire enclosure can be reversed by moving one fence run for planting next year as the chickens have tilled a bed and fertilized it for you. i had my chickens free-range for a while. I thought they were great for the garden. But I use a deep-mulch style of gardening, and it’s amazing how far they can toss the mulch when the are digging. If it wasn’t enough having them exposing my potatoes to sunlight, then taking a peck out of each tomato, they were physically damaging to the plants. In the end, they destroyed my tomato and squash plants. Besides that, there was always poop in the walkways and on the outdoor chairs and table. My hens have a really nice pen now. I put chicken wire around the base of my plants then put the mulch, it saves a lot of the mulch and also put it around the base of my tomato cages in the garden, they hens have free range of garden too as they keep the bugs at bay. I don’t let the chickens in the garden during the growing season. But, they are great for cleaning up after harvesting is done. 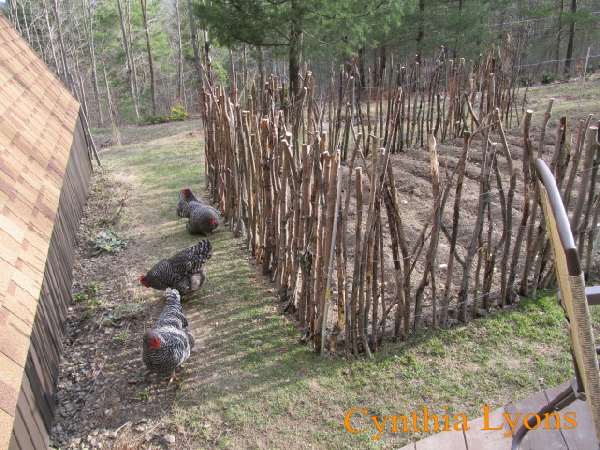 I have a roll of 5 ft. tall welded wire fencing and use that to divide my garden so the chickens have a place to dig holes and do dust baths. I can use 3/4 of the garden to plant and keep the chickens in the rest. We have 2 gardening seasons here in Arizona, so I can move my fencing around and keep everyone happy. I don’t let my chickens in my garden, but I absolutely love what they do to my compost pile! I allow them to free-range in the compost, which they dig and turn expertly, adding their own nitrogen-rich droppings, which they also obligingly turn into the pile. So, in that respect, I’ll never have a garden without chickens again. I love barred rocks. I have two and they are such sweet good hens. 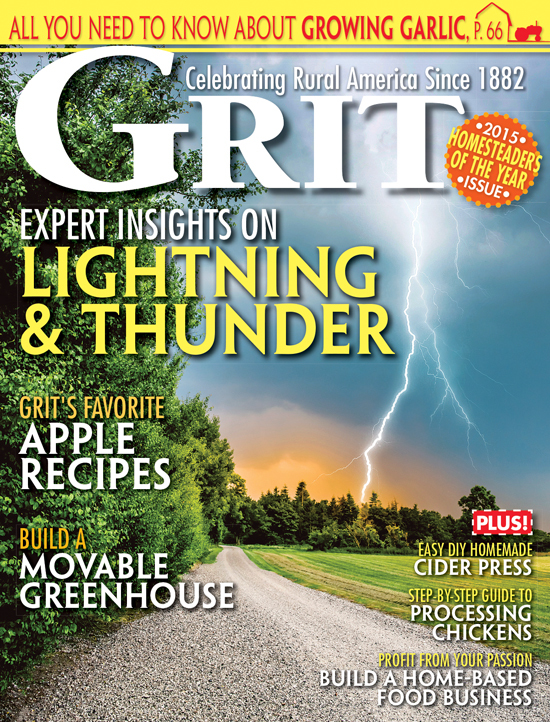 I’ll be over to read it! I love barred rocks, too. There’s something about the black and white feathers and bright red combs that makes smile every time I see them. I love Barred Rocks, and highly recommend them. They are well suited for western NY State. They fair very well in the winter. Mine do not have heat or artificial light, and lay all winter long. I use my chickens in my garden thus: We have a little door that goes from the chicken yard into the garden. On weekend days, I let just a few of them at a time into the garden to glean bugs. They do eat some tomatoes and peck at the greens, but if you let them in for brief periods, they do a great job of debugging. The other thing we use them for is between plantings – we let them into the garden to scavenge for anything left over and in so doing, they turn over the soil and bring all the rocks to the top – it would take me a week to do what they do in a couple of days – they are great rock excavaters! walk with your chicken so they can keep up with you. my size 14 boots stir the bugs up on the ground and the girls go wild. I do it 1 hour before roosting time keeps damage too the minim every night. Carry a stick to shake the bugs out of the plant’s or spray water on the leaves.